De ivdiciis nativitatvm libri tres. With a preface by Philip Melanchthon. 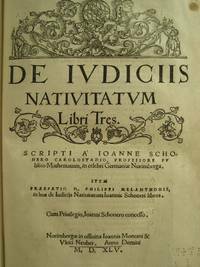 Title: De ivdiciis nativitatvm libri tres. With a preface by Philip Melanchthon.